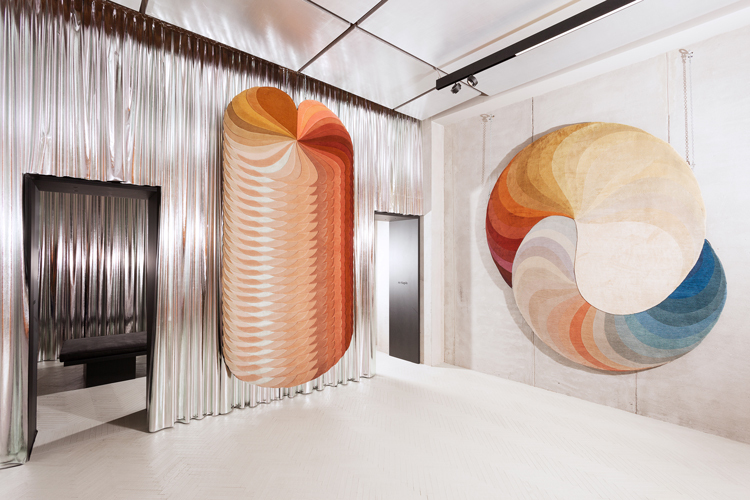 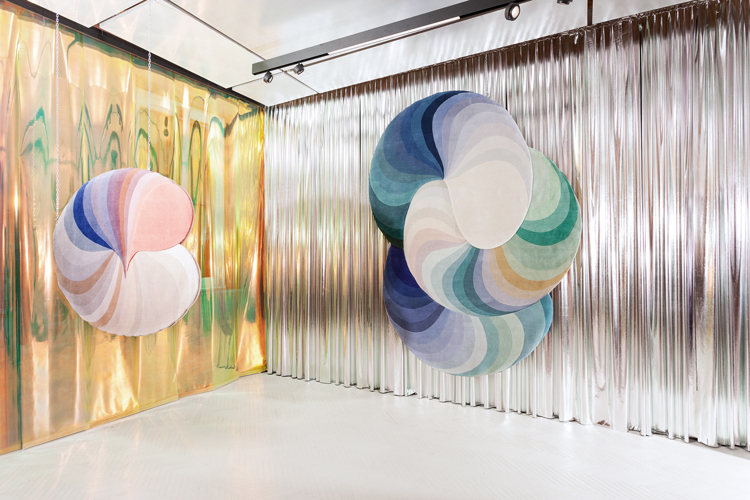 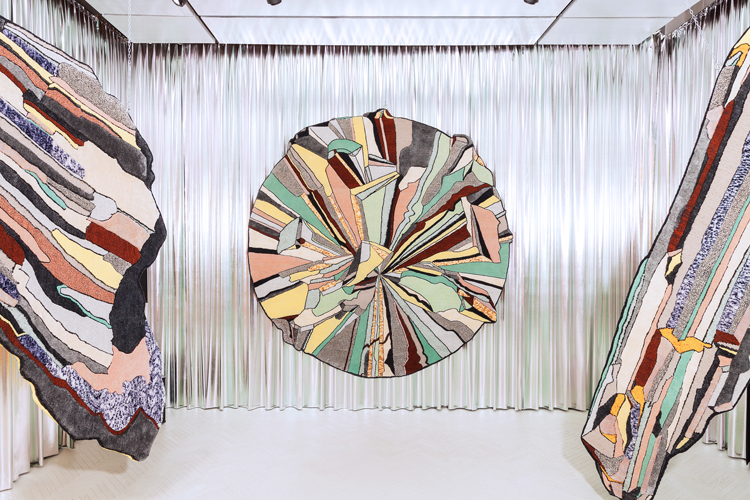 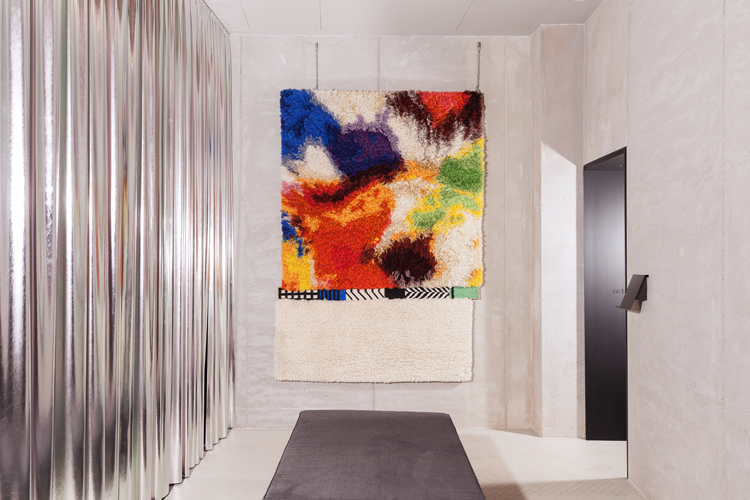 The objective of the installation in the cc-tapis showroom during Milan Design Week was to create a sensory experience of a rave, a theme which housed three new collections designed by Bethan Laura Wood, Patricia Urquiola and Ludovica + Roberto Palomba. 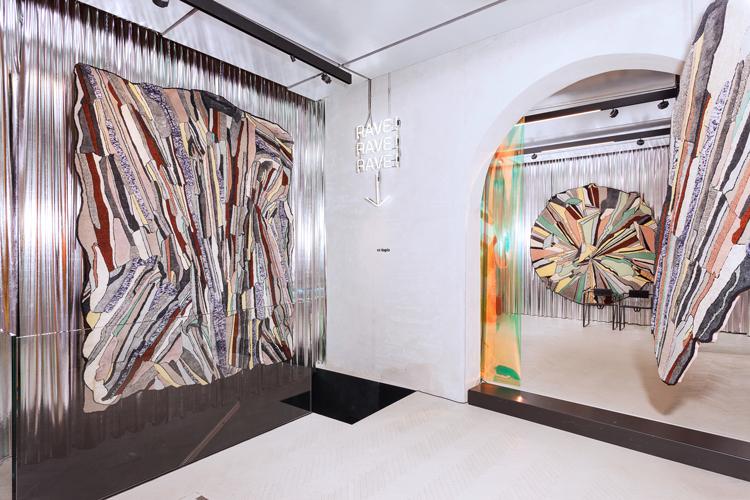 3 rooms guided guests on a journey inspired by the “Hyper Craft”, a universe that unites the digital and the artisanal, technology and tradition. 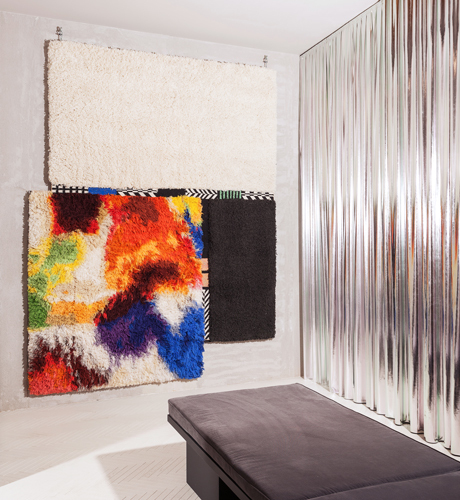 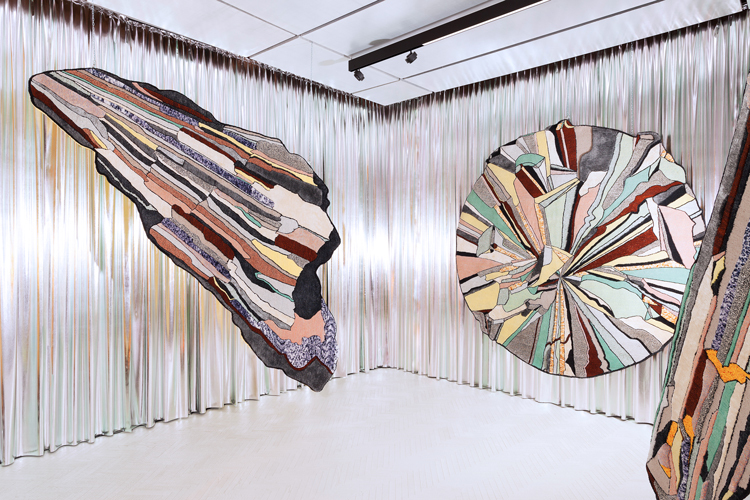 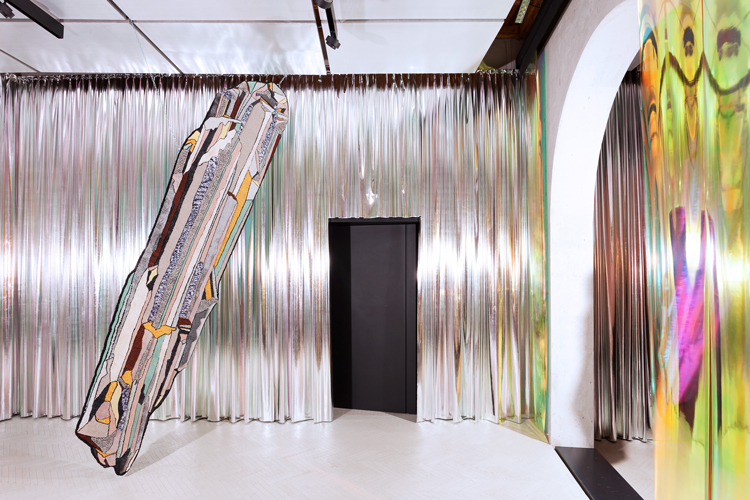 These dichotomies were also reflected visually in the space: the iridescent plastic of the installation together with the natural Himalayan wool of the rugs and psychedelic colors mixed with the underground atmosphere of the 90’s.